Assortment of Ribbon, Scraps of Cloth, Lace, etc. Begin by gathering your pieces of fabric, lace and ribbon. Cut fabric and lace into smaller pieces, about the size of a business card. These will be the clothes. Cut yarn into pieces approximately 2 inches long. This will be the hair. Sit down with your little artist and encourage them to choose the clothes and hair for the dolls. Discuss if each doll will be a grown up or a baby, a mommy or a daddy, someone you know or an imaginary person. Help them select fabric for shirts, pants, dresses, and hats. Choose hair color and length. When your little artist has picked out the clothes, hair, and identity of each doll, attach everything with hot glue. Layer tops over bottoms, scrunch up fabric to create ruffles. Wrap and stack hair to make curls or lay yarn across the “head” to make long hairstyles. To complete each doll, use the permanent marker to add eyes and smiles (or frowns) to faces. Encourage your little artist to make up stories about the friends they have created and act them out using their new dolls. This project requires lots of one on one attention, especially since grown ups are responsible for gluing on clothes and hair. If you are planning on leading this project with a group of little artists, divide kiddos into pairs. In a classroom setting, more than two artists per adult with a glue gun can quickly become chaotic. 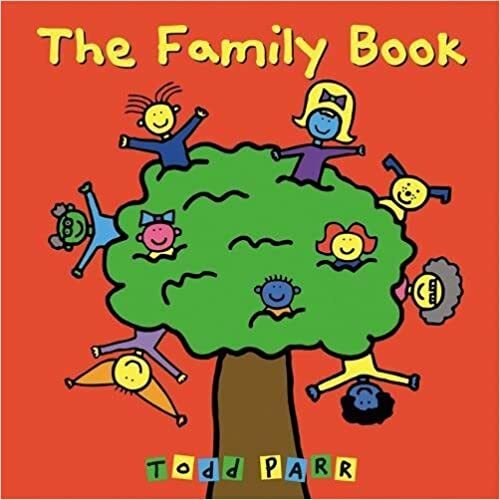 Before or after your clothes pin doll project, read The Family Book by Todd Parr together with your little artist.